See Upcoming Courses for dates. We offer courses of six one-hour sessions. The theory teaching will help you understand your puppy’s behaviour, increase patience and calmness, consider how dogs learn etc. 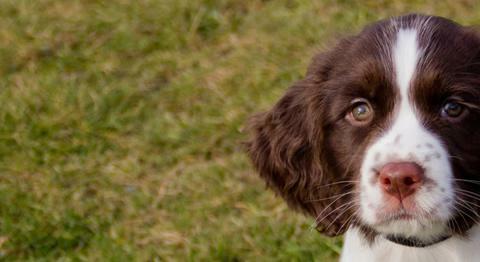 We teach the basics in a practical way: such as sit, stay, recall, retrieve and loose lead walking. The training is based on positive reinforcement operant conditioning methods. 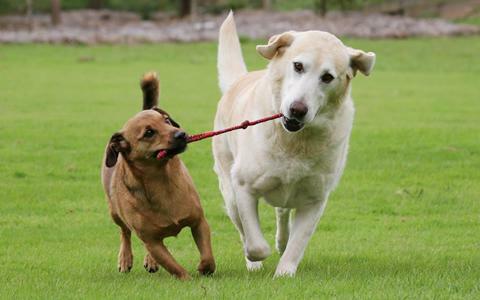 There are opportunities for supervised play with other puppies. We provide courses of six group sessions or one-off sessions to give you a great foundation for a happy dog-human relationship, and also improve your dogs' skills if you have already done a puppy class. We reinforce and enhance the training you may already have done: for example; sit, stay, recall, leave, retrieve and nice lead walking. There is question and answer time for you to help work out the best way to encourage the particular behaviours you want from your dog. We also run private bespoke 90 minute sessions for your dog and up to two friends and their dogs, either as a one-off or a course of three sessions. Time and venue to suit you. This can include agility training. We run six week group beginners dog agility classes which include useful training as well as getting used to the basic equipment. Skills are taught at a gentle pace so that your dog does not feel pressurized or over-stimulated. Dogs are welcome to sign up if they are sociable with other dogs and humans. We provide courses and training for owners and dogs who would like to achieve IMDT Partnership Grades (including Recall from play, Cone Search, Tricks, heel work etc). The focus is on correct and sympathetic handling as much as on the dog achieving the designated exercises. We also run practical tracking workshops in a rural location close to London. Get your lively easily-distracted dog to tune in to you. Learn about the amazing dog's sense of smell and how they use their nose. Learn how different conditions affect tracking. Lots of practical time to start your dog tracking, progressing from easy and motivating, to more challenging so you can take it further in the future. If you are unable to come to a session please let Lydia know beforehand. Book online here or download our booking form.